It has been less than two months since I wrote an insight article on how to capitalize on the upcoming rental bloodbath. Now, here we are in the middle of July and the bloodbath is real. Oftentimes, it is hard for some people to understand and grasp how fast the market is actually moving (even when you are actively trading in it). So when good, reputable sources come out with just pure stats on how the market is doing (without any further bias), I always review it to do some due diligence. Plus, of course, I will always share my thoughts with you afterwards :). The Numbers are In – A few days ago, Urbanation released the annual rental numbers comparing the current rental market to last year and to no surprise for me, the current rental rates are at an all-time high – an 11.2% increase from last year, or in other words, the current average rental rate in the GTA is now $2,302/month! For your reference, the average rental increase after considering inflation is expected to be approximately 3-4%. Up, Up and Away! Below is a chart depicting the escalating cost of rent year-over-year, and you can see that in 2018, we had the biggest jump to date. You can blame some of that jump on rent control and the stress test, but there are also other factors that have caused this spike as well. Scarce Market – The supply issue is real, but nobody is addressing it. With no one moving out of their rental property due to rent control, Toronto is experiencing historic lows for the turnover rate on rentals right now. We’re currently at an average of 15 days on the market with rental units.Good luck to everyone out there trying to find a rental unit right now! Rental bidding wars are back! 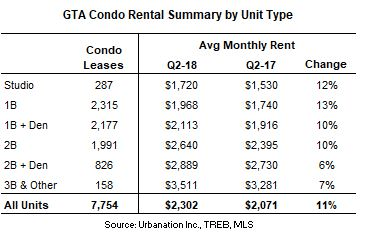 Below is a quick snapshot of what it currently takes to rent a particular type of unit in the GTA. Some of these numbers may come as a surprise to some people, but this is as real as it gets. Some of these numbers are even at least 20% higher when you are in the downtown area! High Cost of Living – Lastly, below is a snapshot of each municipality and their rental rates. 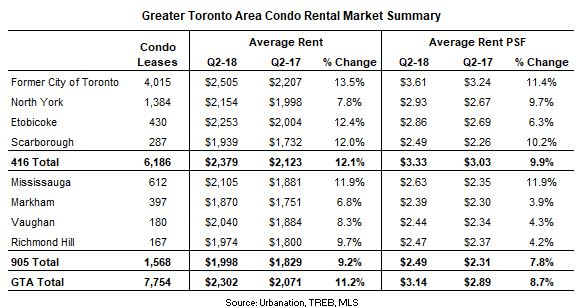 You can see that to be in the city (not even just the downtown core), the average rent in Toronto is over $2,500 per month or in other words, that’s $30,000 going towards rent per year. The average pre-tax income in Toronto is approximately $45,000. If annual rental costs are $30,000, that’s two thirds of your pre-tax income going towards living costs! More Bloodbath?! So even though we find ourselves in the middle of July’s rental bloodbath, there is actually even more potential rental rate increases coming our way between now and September. 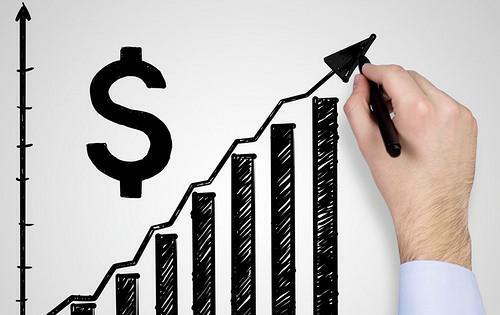 When October rolls along and we get the numbers, we’ll see where the rental market ended after the summer, and quite frankly, it would not surprise me if we reach new historical highs for rental rates yet again. The Wrap – So what does that mean for investors? New peaks in rental rates translate to higher average selling prices. For an investor, it’s a winning situation. For the renters, we’re seeing an unfortunate series of events here. This is the vicious cycle in Toronto that we are living through right now. 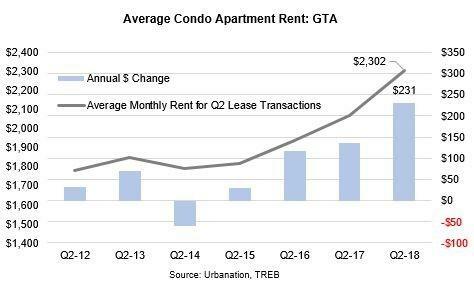 Condo prices and rents are going to keep going higher and higher until someone actually addresses this underlying supply issue.